Profits from the sale of merchandise are used for operational expenses of NephJC with oversight from the NephJC Board of Directors, a 501(c)3 corporation. 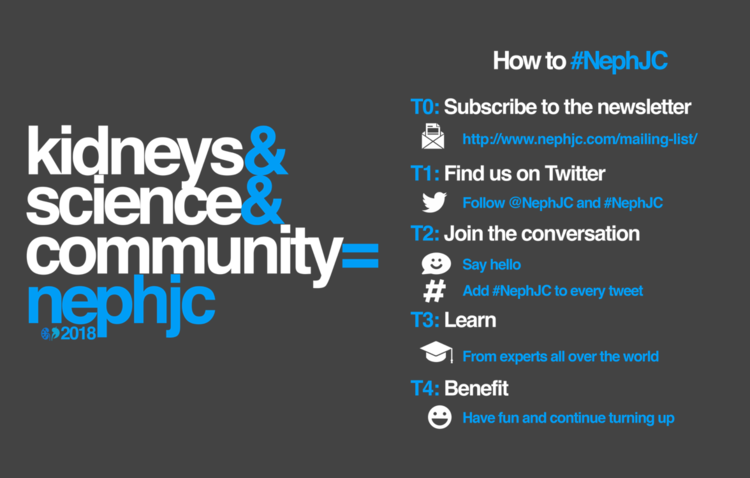 Thanks to Michelle Lim who has designed the first NephJC T-Shirt. They look and feel great. Please take a look and buy one (or three). Joel Topf commissioned the creation of a nephrology themed running shirt and this resulted in Team Nephrun. There is also the classic #NephJC Coffee mug in 11 or 15 oz size.